The Trenton is Canada Goose's newest venture into a hybrid softshell. The water resistant (waterproof?) exterior is bonded to a stretchable middle layer and a warm/soft inner layer. The quality is outstanding. The temperature rating is conservative. The look is stylish. Following three and a half months of testing in a variety of weather conditions, I highly recommend this jacket. I am a 6'2” and currently weigh 172lbs (when the jacket arrived I was 185lbs). My jacket size is 42 Long. In other words I am a tall, skinny guy with long monkey arms. A large shirt is too big on me, but the sleeves on a medium shirt are always too short. I have worn the Trenton every day for the past 3+ months. 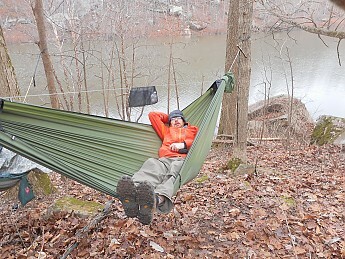 Testing has varied from hikes in the woods, to treks in the snow, to backpacking, to trips around town. Weather has included rainy days, snowy days, and sunny days. Temperatures have ranged from low 40s to 0°F. Canada Goose describes the Trenton as a “slim fit.” That is an understatement. 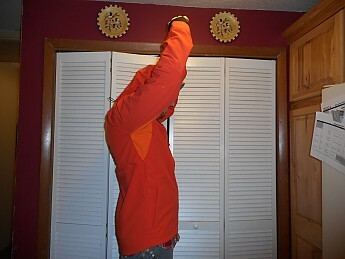 The jacket I tested was a size Large, and it was very snug on me. Had I still weighed 200lbs, as I did a year ago, the Large jacket would have been uncomfortably tight. This snug fit presents a challenge to one's layering system. This is not a jacket to wear over a heavy wool sweater. I recommend sizing up from your regular size. The sleeves are nice and long, easily reaching my long wrists. And these are extended even further with lycra cuffs. On mild days these cuffs stay out of the way tucked into the sleeves. On those bitter cold days, with a biting wind stinging exposed skin, the cuffs are an excellent addition to my gloves. 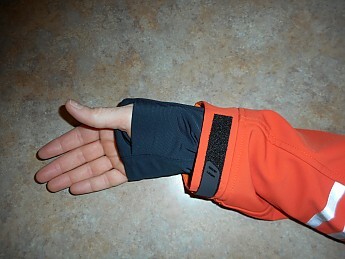 Velcro allows the cuffs to be tightened in colder weather. 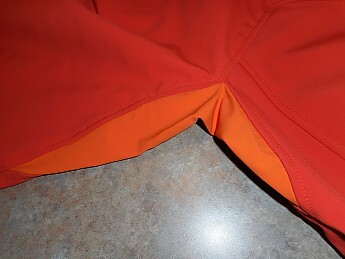 In addition to the sleeves being adjustable, the waist can be tightened by an elastic cord that enters into each pocket. The waist can be cinched without pulling one's hands out of the pockets. 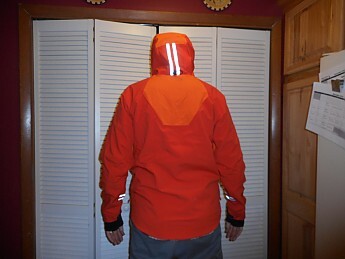 The helmet-compatible hood can also be cinched down in two locations, around the face and in the back, just below the reflective stripping (see picture below). reflective stripping on the back of the hood and on the sleeves. A bit more on the hood: the pictures do not really do it justice. It can be cinched down nice and tight. An inner drawstring pulls it in close, with a bit of extra material to act as a rain visor. Canada Goose has managed to confuse me in this regard. In the same section of their website (and in the printed material that came with the jacket), they will say the Trenton is waterproof and then call it water resistant. 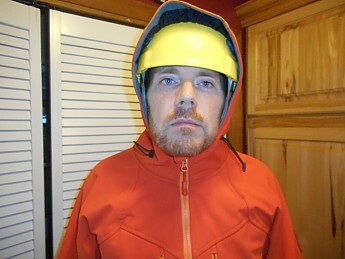 I do not know which is the correct description, but I have yet to get wet in this jacket, in either rain or snow. Water has always been seen to bead on the jacket when I have been out in adverse conditions. 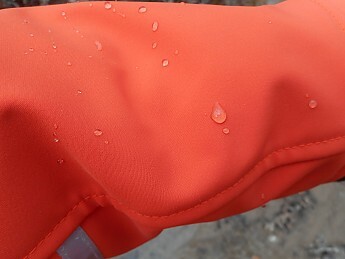 "To address one of your main concerns about the waterproof vs. water resistant messaging, I touched base with our product development team and they informed me that the fabric is indeed waterproof due to the laminate, but overall the jacket is considered water resistant since we cannot seam seal the seams. Essentially, we cannot call anything waterproof unless it’s completely seam-sealed. I hope this helps to clarify – if you want to update your review to indicate it’s a water resistant jacket, feel free to do so." So officially water resistant, because the seams aren't sealed. The Trenton excels in this area. 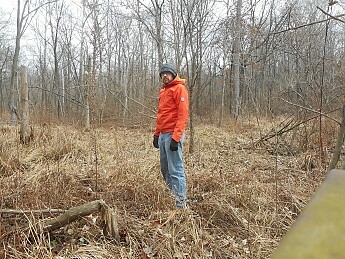 By ventilating as needed, I have never become sweaty in the jacket, even during vigorous hikes in cold weather (low 30's-single digits Fahrenheit). By nature, I'm a “cold” person. So a hot blooded person may have a different experience. 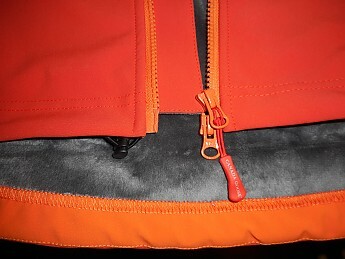 First, is the breathable stretch panels between the shoulders, under the armpits, and in the top of the hood (These are the lighter orange panels seen in many of the pictures.). Arm pit. 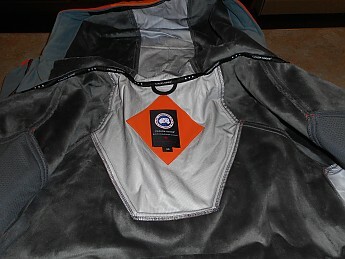 See the hood picture above for the back & head panels. I had thought that these stretch panels would be the cold spot in the jacket. I was wrong. These panels keep out the wind and keep in the warmth. 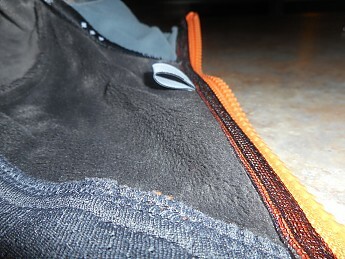 Second, each of the 4 external pockets provide a porous material to allow air to move through when they are unzipped. The pockets are lined. So when zipped up, the wind and cold is kept out. with the pockets (far left & right sides). 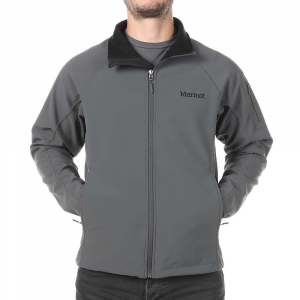 Our laminated 3-layer softshell fabric with high loft fleece backing makes this 2-way stretch configuration our warmest and most comfortable, waterproof and breathable shell at the right weight, integrating the utmost in durability and performance. I was surprised at how thin this shell is. It only weighs 2lbs 5oz. When I first saw it I thought, “There is no way this is going to take me down to sub-freezing temps.” I was definitely wrong. To be honest, I goofed in testing this jacket. The garment says -5 degrees. And so I tested this jacket down to the coldest weather that came my way. A brisk walk at -3°F with a windchill of -10°F was fairly comfortable (heavyweight base layer NS warmth layer worn underneath). I have consistently worn this jacket in the teens. As long as I have been active, I have been comfortable. As such, I felt confident in the -5° rating as an active wear jacket. HOWEVER, as I sat down to write this review, I realized the temperature lower limit is -5 Celsius, not Fahrenheit, meaning Canada Goose is only rating the Trenton to 23°F. 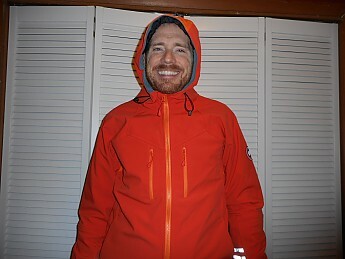 I have been testing this jacket in cooler temperatures than it is marketed for us. All I can say is, Canada Goose could be marketing the Trenton as a colder weather jacket if they wanted to. 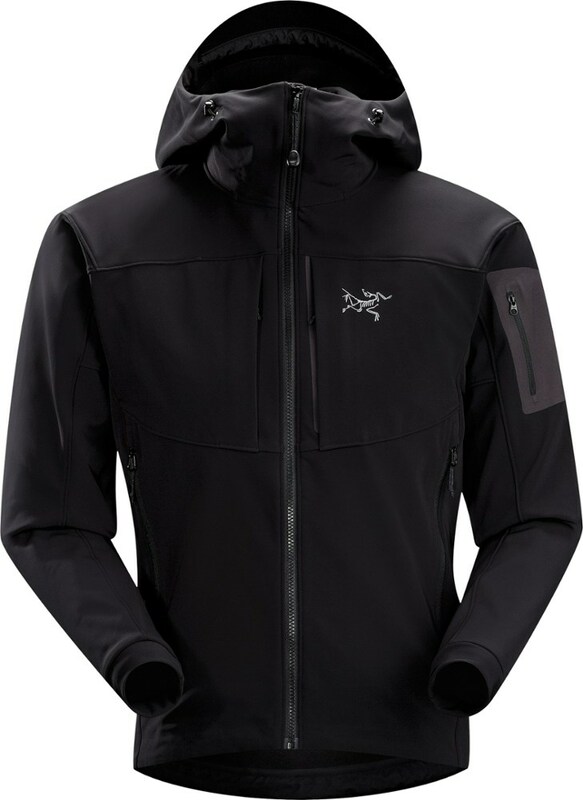 As mentioned before, this is an active wear jacket. Standing around in 23°F temps this jacket is not going to keep you warm. Again, 5 stars. In hard winds, with windchill at -10°F, I never felt it. My legs, face, and hands felt it, but not my arms and torso. A few cons lie in the function of the Trenton. First, the collar is pretty uncomfortable when zipped up past the 3/4 mark. The stiff material of the shell digs into the chin. Because of the slim fit of the jacket, it is hard to pull this out past your face. Second, the zipper is backwards by American standard. Male American jackets zipper on the right, females on the left. The Trenton zippers on the left. At first, I thought I had received a woman's jacket, but it was definitely marked for men. It took me a while to get use to the change. Third, on a few occasions, 3 or 4 times over the last 3 months—mostly when I'm active, I have caught my reflection and realized the chest zippers have dropped a few inches. This creates unplanned venting and risks loosing items in the pocket. Finally, it does not compact well. 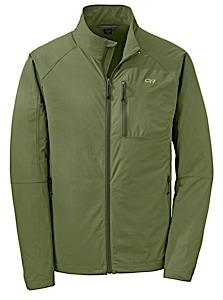 So this is not a jacket I would take backpacking during shoulder seasons unless I planned to wear it more than not. 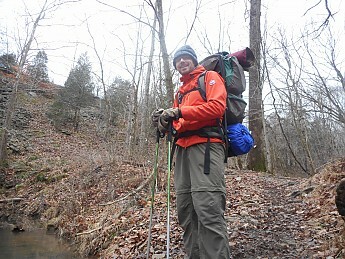 At 2lbs 5oz, it's not ultralight, but it is much less jacket than any winter coat I have owned. 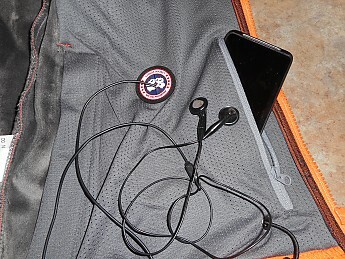 A media pocket inside the jacket allows for headphones. This cord can be run through a reflective loop near the chest to keep it from being caught in the zipper. In conclusion, the only thing I don't like about the jacket is the hunter orange color. However, during testing, I had numerous strangers stop me and tell me what a nice looking jacket it is. I had a motorcyclist ask about it, as he felt it would make him more visible. I had a teenage girl standing in line in front of me at Subway tell me she really liked my jacket (In what world does a teenage girl compliment a middle-age man on his fashion choices!?!?). 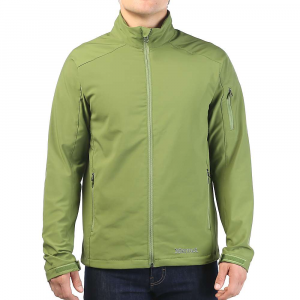 And I was mobbed by a group of MooseJaw employees in Boulder, Colo., when I wore the jacket into the store (MooseJaw just recently started selling it online; it's not in the Boulder store yet.). And I guess I have a functional jacket to use during deer season. Getting fashion compliments from teenage fashionistas - way to go, G00SE! In all seriousness, very nice review of this well-made (and expensive) jacket. Thanks for the super through and great review, G00SE! 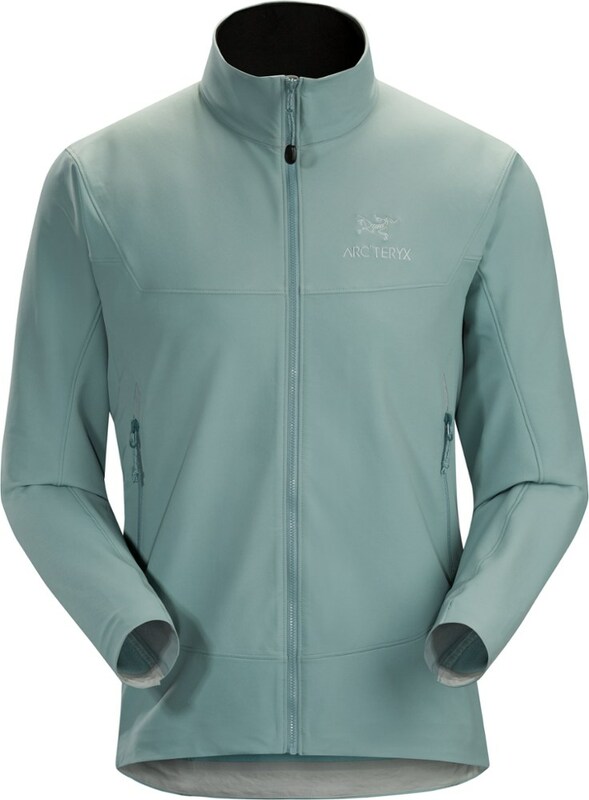 Fleece, waterproof (really) and pretty breathable. Sounds like a win to me. Great review, as always, G00SE! Canada Goose contacted me regarding the Waterproof vs. Water Resistant question. I have updated the review with that information. Thanks for the clarifying update, Goose. 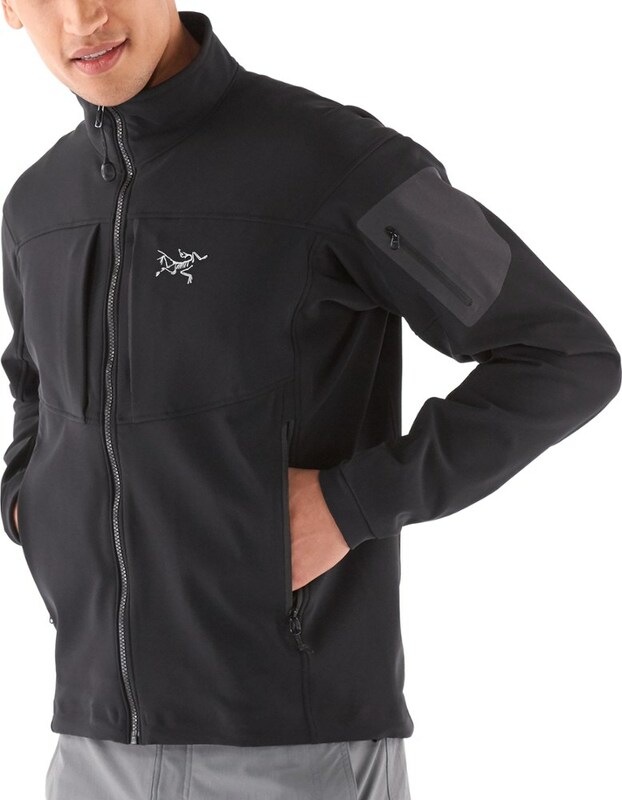 The Canada Goose Trenton Jacket is not available from the stores we monitor. It was last seen November 27, 2015	at Moosejaw.